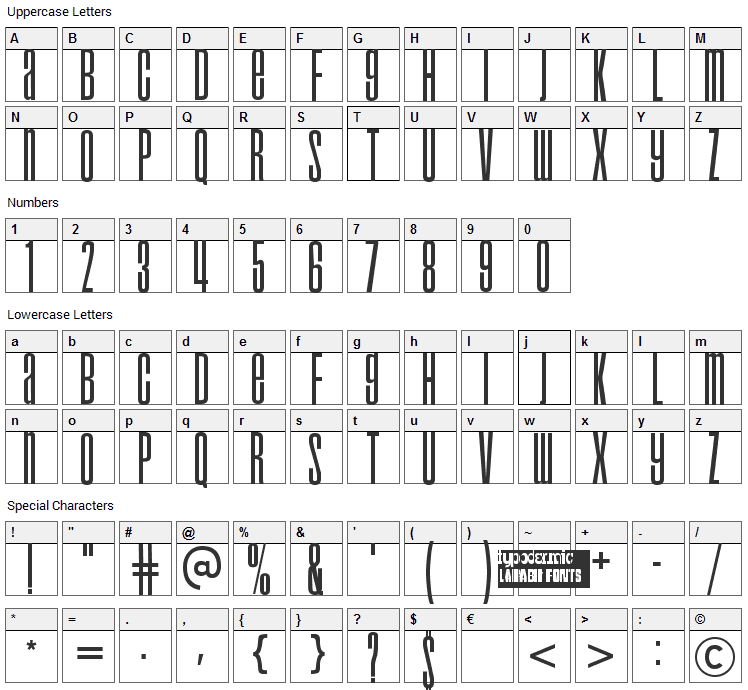 Droid is an extremely narrow, unicase display font I created in 1996. 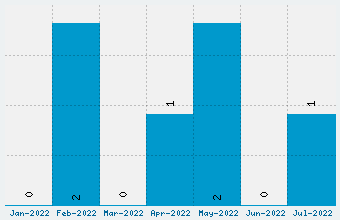 This Droid update mainly deals with vertical metric problems with the last version which caused very wide line gaps (leading) in some applications. The S has been refined. Horizontal alignment problems have been fixed for much better web performance. 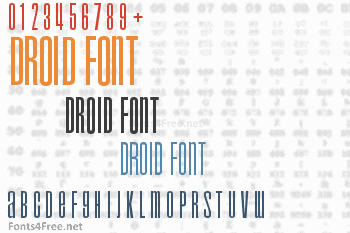 Droid font contains 185 defined characters and 120 unique glyphs. The font contains characters from the following unicode character ranges: Basic Latin (93), Latin-1 Supplement (72), Latin Extended-A (3), Spacing Modifier Letters (3), General Punctuation (11), Currency Symbols (1), Letterlike Symbols (1). Droid is a techno, science-fiction font designed by Typodermic Fonts. The font is licensed as Free. The font is free for both personel and commercial usages. In doubt please refer to the readme file in the font package or contact the designer directly from typodermicfonts.com.